Regardless of the current legal status or cultural acceptance of marijuana, the truth is that a lot of people (have) smoke(d) weed. Needless to say, among these people are those that end up smoking larger amounts of marijuana than they feel they should be. For many, quitting marijuana can result in severe headaches, irritability, mood swings, the difficulty sleeping, generally acting like a D-bag and more for some people. For many, especially those who have used marijuana heavily in the past, it can be hard to stop using marijuana. 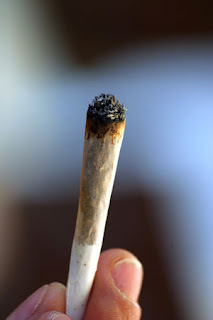 Going without the use of marijuana after a long, steady period of smoking weed over time typically causes drops in naturally brain-present serotonin. Cannitrol Contains 5-HTP, a serotonin precursor – it will help even out serotonin levels. Cannitrol also contains Ciwujia, which helps with psychotropic addictions. Other ingredients include Passion Flower for Anxiety, Valerian Root for stress and sleep disorders (non-drowsy in formulation Valerian Root) and St John’s Wort for OCD-like symptoms. Marijuana users that can’t stop smoking pot long enough to let their built up tolerance levels go down are reporting success achieving lower tolerance levels using Cannitrol. Whether you’re considering quitting for a month or stopping for a few years, Cannitrol can help you get over cravings to “get high”. Joining the military, moving, accepting jobs overseas and legal reasons are some of the many reasons people have cited for stopping smoking weed. 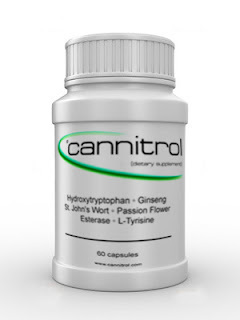 Also part of any legitimate endeavor to pass drug screening is abstinence; Cannitrol can help with that too. There are quite a few reasons someone would want to stop smoking pot. “This is more complex than Chantix Vs Marlboro, simply because Marijuana does not kill people. The last thing we want to imply is that MJ users are losers and need to stop, because that just isnt true. It’s about stopping, not quitting.” – Benny Gold COO of Cannitrol.com. Huh, thanks for the feedback. Did it or anything else work for him?